First Holy Communion is the first time that a person receives the Sacrament of the Holy Eucharist, which is the eating of consecrated bread and drinking of consecrated wine. Normally, this occurs when the children are in Year 3 at school (7 or 8 years old). Children must be baptised and capable of understanding the fact that they are receiving, not ordinary food, but the Body and Blood of Christ, and can receive the sacrament with reverence. First Reconciliation (Confession or Penance) takes place before the First Holy Communion and is another step on the journey with Christ, a second chance, a chance to say sorry and a time to remember God’s love for us. “A child’s first Communion is like the beginning of a journey with Jesus, in communion with him: the beginning of a friendship destined to last and to grow for his entire life,” Cardinal Antonio Cañizares Llovera. 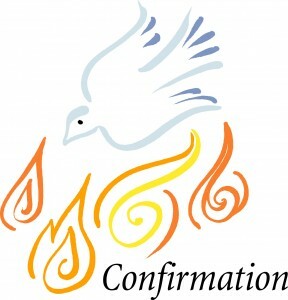 Confirmation is a sacrament of initiation which completes baptism through sealing in Holy Spirit and anoints the recipient as priest, prophet, and king. It is usually administered when the young person is about 13 or 14 years of age (Year 9 of the school year). In this diocese of Portsmouth it is normally every two years and the preparation will be done by volunteer Catechists in your Parish.